…could have toes like that?! 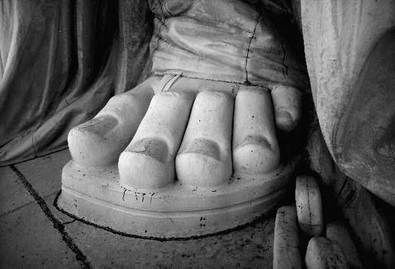 Yep, those cracked, dry, and brittle toes belong to Miss Lady Liberty herself! The top photo is public domain. The color photo is one I took on a trip to New York City.